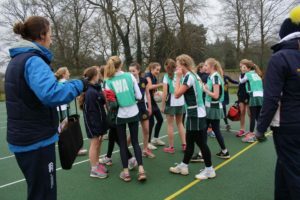 Prior’s Field Sport News: Cross Country Championships and Surrey Netball Tournament. All five Prior’s Field students who ran for Waverley in the Surrey Schools Cross Country Championships at Reigate Priory Park, last Saturday. Second Former Eliza finished 4th in the Junior Girls competition and qualified for the National Cross Country Finals in March; Fifth Former Lilyella finished 15th in the Inter Girls and qualified to run for Surrey in the Inter-Counties match next month. Congratulations also to First Former Annabelle, Third Former Evelyn and Fourth Former Imogen, who ran good races in cold and frosty conditions. Eliza at the Surrey Cross Country Championships. 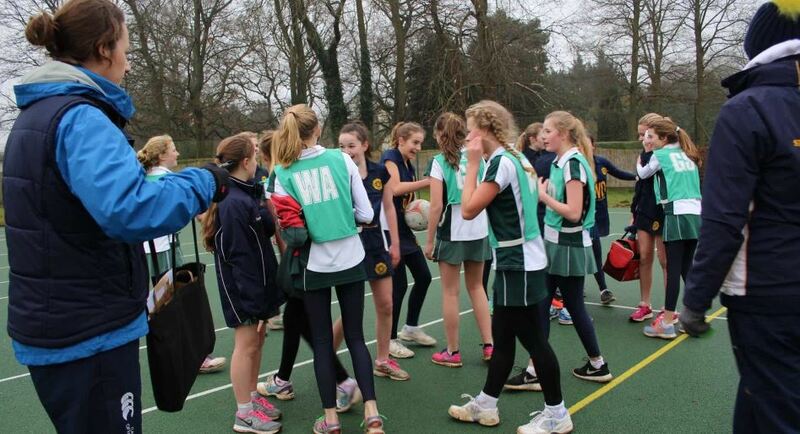 We welcomed 20 schools, and over 100 supporters, who converged on the field this Wednesday, for the prestigious Surrey 12U/13U Netball Tournament, hosted by Prior’s Field for a second consecutive year. The teams do a three cheers at the end of the match. Lower School Music Scholars Recital, RADA Awards and Tate Modern Visit. Prior’s Field Parent exhibits 2,000 years old Civil War Artefacts.